Now is the time to start planning the beautiful blooms you want to see flowering this summer in your garden. Your yard, flower beds, window boxes, planters, and pots can all be filled with an amazing, vibrant assortment of colors and textures, and we have some spectacular recommendations for you in both annuals and perennials. 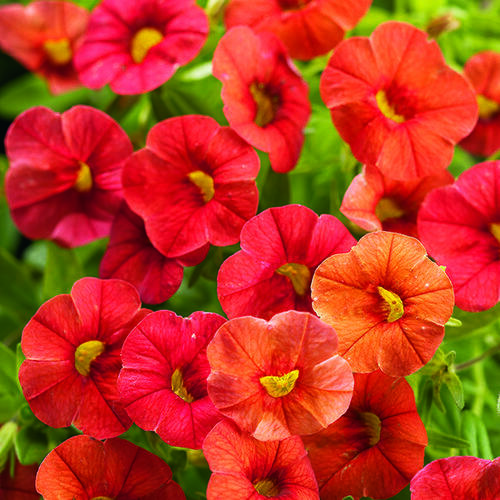 First, here is a list of some of our top favorite annuals to plant in North Carolina. 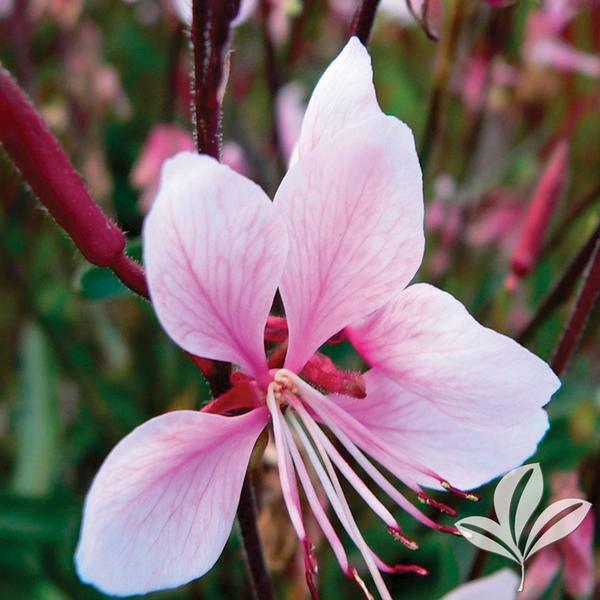 These flowers will give your green spaces beautiful splashes of color, and allow you the creative freedom to change your garden next year–or choose to replant the same gorgeous blooms year after year. Begonia. In red, peach, orange, and pink, begonias prefer shade and boast green foliage in addition to their radiant blooms. Flowering Tobacco. 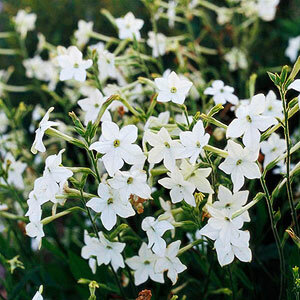 Nicotiana, or flowering tobacco, can grow in shade or partial sun, and depending on the variety can be short or tall, light or vibrant. For optimal growth, deadhead and provide plenty of water. Impatiens. 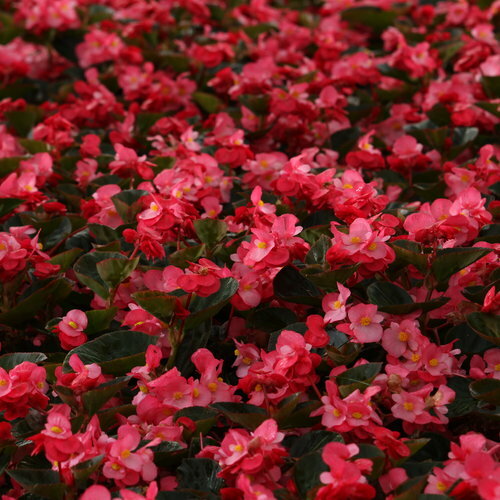 Impatiens need a fair amount of water to thrive in hot summer temperatures. 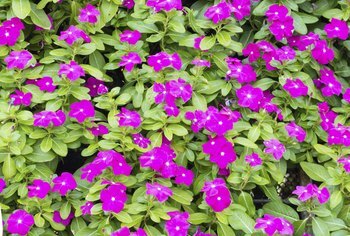 If temperatures go over 85 degrees Fahrenheit, which they tend to do around these parts, make sure your impatiens receive at least four inches of water per week to maintain their bright colors. Calibracoa. Also called “A Million Bells,” this container plant boasts plenteous trumpet-shaped blooms in a panoply of shades and colors. Though they don’t grow tall, they spread widely, so they work well to fill window boxes, pots, and other decorative containers. Caladiums. If you’re looking for a way to decorate the shady areas of your yard or garden–or the inside of your home or office–look no further than caladiums. Also known as “Elephant Ear” and “Angel Wings,” caladium is less of a flower and more of a colorful plant with large leaves that can be green, white, red, and pink, depending on the variation. Verbena. Verbenas are extremely tolerant of hot weather, love the sun, and also come in a perennial variety for more humid climate zones (like North Carolina). Vinca. Also known as periwinkle, vinca spreads in a blue-violet color creating a beautiful ground cover. Zinnia. As low maintenance as any flower in your garden, zinnias are bold, vibrant, and grow very quickly. From seed to bloom, zinnias prefer heat and don’t need much else to thrive. 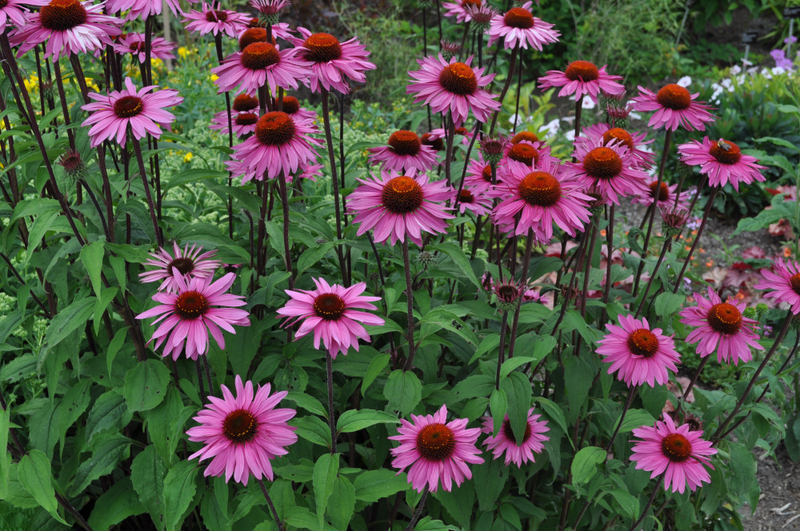 Here are some of our favorite perennials. These vibrant flowers will come back every year, and develop strong roots and lovely, albeit shorter-lived, blooms. Black-eyed Susan. 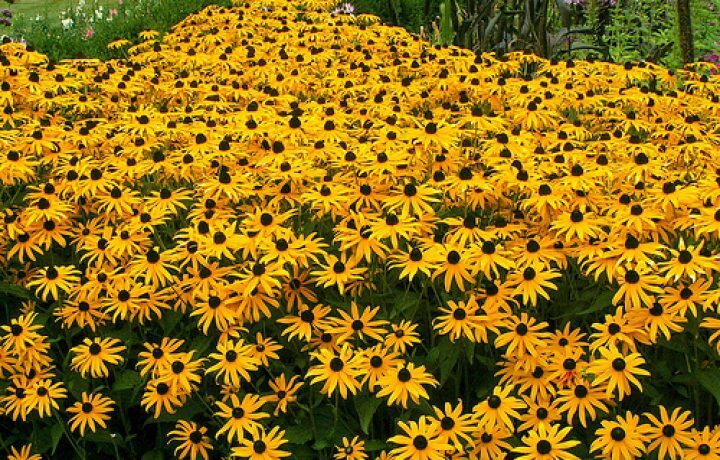 Black in the center with yellow petals, these easily recognized, drought-resistant flowers are good for the middle of your garden or flower bed. Deadhead blooms for more flowers. Blanket flower. If you are looking for vibrant beauty, look no further. Sunburst orange and yellow splashes of color make these buds eye catching and awe inspiring. Clematis. This “Queen of Climbers” is a beautiful purple flowering plant that loves the sun. Pick a nice trellis and plant clematis in moist, well-drained soil for optimal growth. Coneflower. Sturdy and tall (up to five feet high), coneflowers look a lot like daisies, come in a variety of colors, and attract bees, meaning your garden will likely stay well pollinated all season. Peonies. With peonies, you’ll get a spring bloom and luxurious foliage throughout summer. 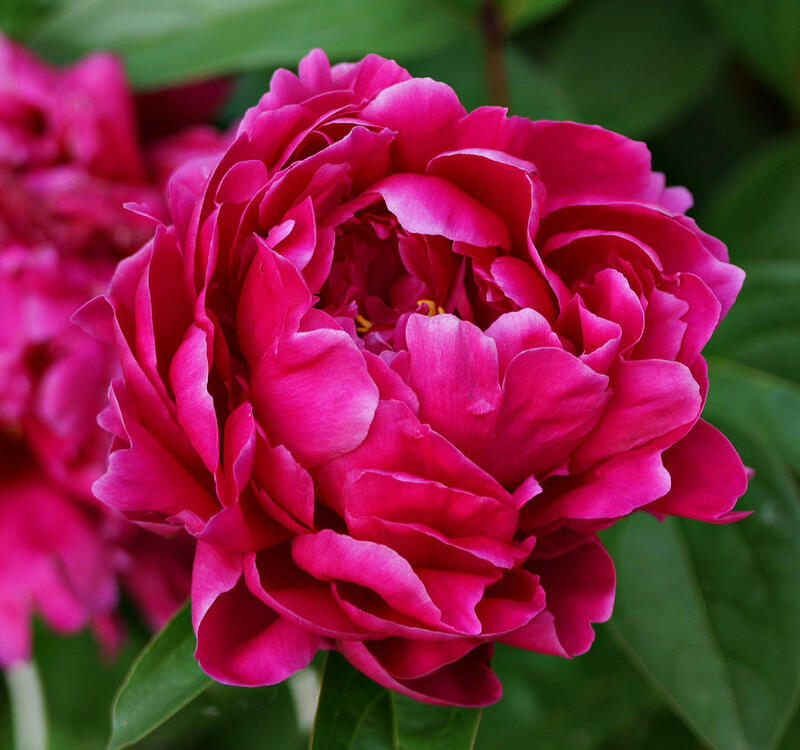 Peonies are so potent, they have been known to bloom every year for a hundred years! Sunflower. Line your fence or the back of your garden with more color than ever before. Sunflowers do not just come in the traditional yellow variety, either. 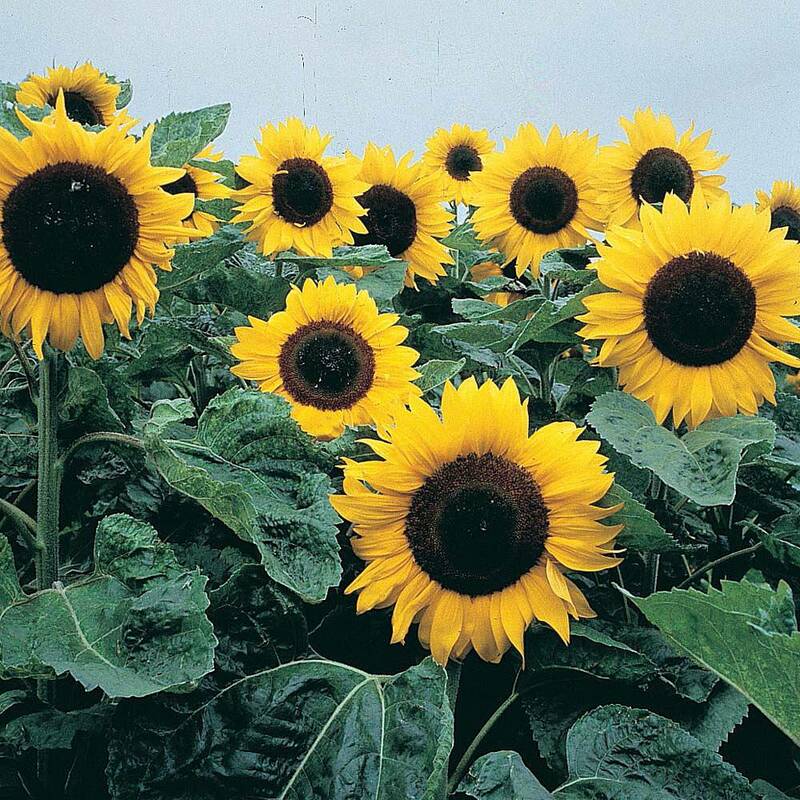 We recommend the Helios Flame, Ring of Fire, and Moulin Rouge sunflowers for brilliant bursts of vibrance. Veronica. Most veronicas are cone-shaped, medium-height flowers that come in a wide array of colors and are known to attract hummingbirds and butterflies. From white to pink to blue to purple, there is a color of veronica to match every gardener’s preference. Yarrow. Known in some parts of the West as plumajillo or “little feather,” other names for yarrow include the nosebleed plant, thousand-leaf, devil’s nettle, and soldier’s woundwort. Despite having a series of bizarre names, yarrow is a gorgeous, hearty plant that can survive drought conditions, attract butterflies, and be harvested for its essential oil. Russian Sage. For warmer, dryer areas, this unmistakable lavender-blue plant tolerates extremely arid climates, resists pests, and pairs well will ornamental grass and succulents. Guara. Let’s hear it for the butterflies! This hearty flowering plant will bring all the butterflies to your yard throughout the summer and, as a bonus, is deer resistant! Guara blooms most beautifully in well-drained soil, and loves lots of sunshine. 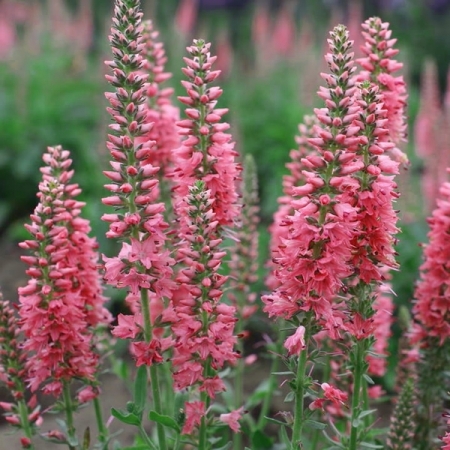 These are just a few of the beautiful flowers we recommend planting for summer. What are your favorite annuals and perennials to plant in North Carolina?